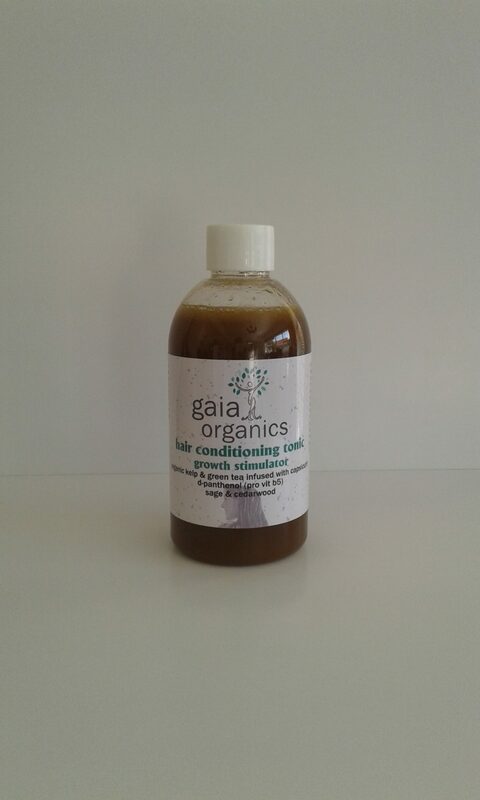 Directions: Following the use of Gaia Organics Bio-Shampoo and rinsing thoroughly, shake the bottle of Conditioner well, close the eyes and carefully apply to and finger massage into the scalp and through the hair. Please take care to avoid the conditioner entering the eyes. It is entirely safe, but the Capsicum, even in traces, can cause stinging of the eyes if not careful. Keeping the eyes closed and depending on the condition of the hair, sponge-out any excess conditioner from the hair, retaining as much as possible on the scalp, since this is where the nutrients need to remain and micro-circulation needs stimulating. Carefully wash the hands, face and closed eyes with plenty of fresh flowing water before drying off. Repeat procedure after each hair washing so that active concentrated residues always remain in contact with the scalp. 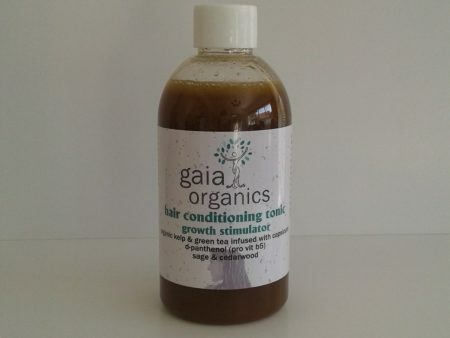 Contains: purified rainwater; slow fermentative deccoction of kelp (iodine) for multi-minerals, Stinging Nettle, Green Tea & Comfrey Allantoin; Colloidal Silver & copper; Malic acid (apple cider vinegar crystals); Panthenol; Kombucha Symbiont (selenium), Ginkgo, Ivy & Wormwood extracts; cold-pressed Jojoba, Sesame and Coconut oils; and essential oils of Rosemary, Sage, Cedarwood, Cajuput & German Chamomile and exclusively, Capsicum Resin.